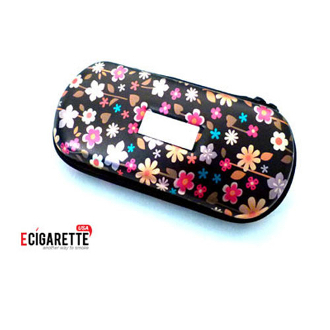 The Design eGo Case is essential for anyone with an e-cigarette that is on the go. Or maybe you're someone who just likes to keep things neat and protected. Regardless, this eGo case is for you. It has ample space to hold everything you may need while you're out and about. Three mesh pockets allow for easy storage of extra e-liquid, chargers and other e-cigarette supplies. These sturdy cases are hard-sided and zip closed to help keep all of your e-cigarette supplies in one place and safe from any harm. They are available in multiple colorful patterns so find one that fits your personality and allow us to provide a case that fills your needs.